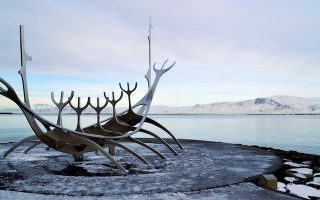 Reykjavik, on the southwestern shores of Iceland, is the northernmost capital city in the world, and a popular center of culture, economy, and tourism. From its architecture, combining old world grandeur with contemporary creativity, to the stunning mountain vistas across the Faxa Bay, Reykjavik is a great city to see on foot. Despite the latitude and occasionally forbidding weather, running in Reyjavik is surprisingly good! Just be prepared for damp and snowy in winter, and the cool overcast of summer. 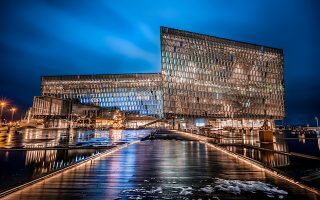 The best places to run in Reykjavik incorporate the city’s great network of bike paths: from the coastal routes like the Sculpture and Shore Walk and the Seltjarnarnes Peninsula, to inland gems like Fossvogur, Reykjavik Airport, Laugardalur, and the beautiful Park Elliðaárdalur. 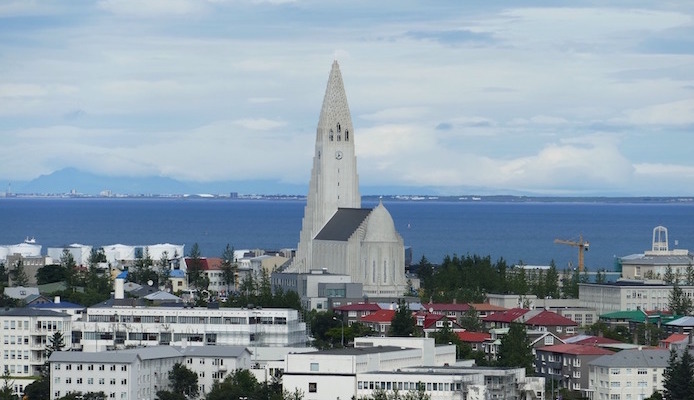 Our Runseeing Tour hits all of Reykjavik’s major sites in one workout. Distance runners will delight in knowing that many of these routes are close together and can be combined for a mega-loop around the city. This is especially handy in summer, when the Icelandic sun sets for only a few hours a night. Should your legs fail to outlast the sun, public transportation in Reykjavik is simple and straightforward. Buses service all of our major routes, and a Reykjavik City Card allows travelers up to 72 hours of unlimited transportation throughout the capital. Note: owing to the short days of winter, many of the bike paths are lit. 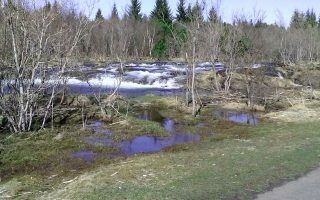 This 5 km loop around the center of Reykjavik hits many of the most popular tourist destinations in the city, starting at Tjörnin, the pond at the heart of the city. 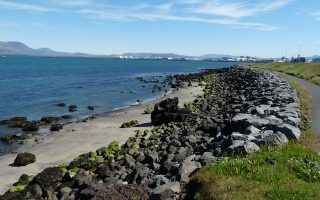 This route around the Reykjavik harbor area is one of the most scenic runs in the city, and it utilizes a pedestrian friendly-path spanning over 5 km (3 miles) along the waterfront. The picturesque jut of the Seltjarnarnes Peninsula is a popular stop for birdwatchers, visitors to the Grótta lighthouse, and sunset seekers, but runners will love the 7.4 km (4.6 mile) loop around this seaside path. This gorgeous river valley, not far from central Reykjavik, is one of the best kept secrets of the city, making for a peaceful and scenic ~10 km (6 mile) run. With mild weather and many bike paths, the Fossvogur neighborhood is one of the most popular running spots in Reykjavik. Choose from a 5.6 km route or a longer 11.7 km loop through coastal Kopavogur. 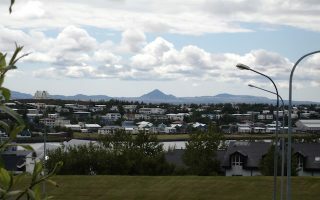 Just east of the city center, the Laugardalur neighborhood boasts a number of scenic paths, including some through the zoo and the the beautiful Grasagarður Botanical Gardens. Our route is 3.5 km (2.15 miles). The area surrounding the tiny Reykjavik airport makes for a scenic and breezy 7 km (4.5 mile) run including the Perlan Museum, the University, and Vatnsmyri Swamp. Weather is a key factor in Reykjavik running. 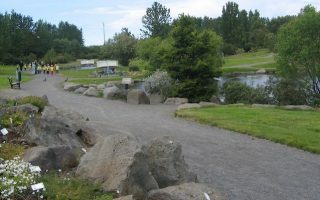 In summer, there is near constant daylight, though it is generally overcast and temperatures stay in the mid-50s (14C). A clear, sunny day is a rarity. In winter, the days are short (but the streets and paths are lit), though surprisingly given the latitude, temperatures hover around freezing. But it is overcast and damp. Be prepared for wind at any time of year, and always good to pack a layer. Where to stay in Reykjavik. 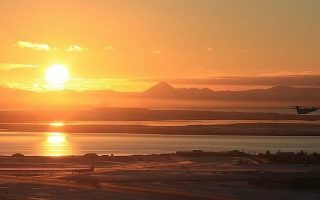 RunninginIceland.com is a great resource for running stores, group runs, and more! Arctic Running Tours leads wonderful running tours in the area. See Running in Iceland’s running calendar for upcoming events.